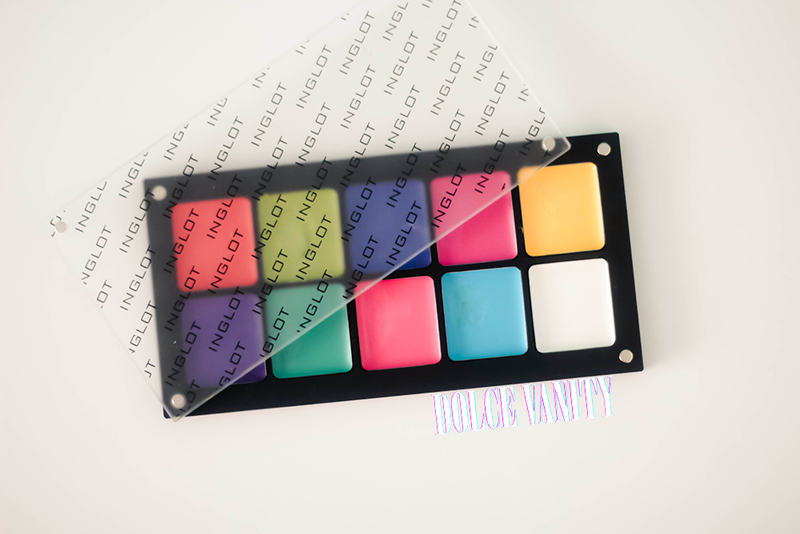 I grabbed this INGLOT Color Play Lipstick Palette at IMATS, mainly the fact that it had so many bright colours in one place is what drew my attention. Everything is just so vibrant and creamy. I got a deal on this palette, everything retails online for £55 but I got it for £38, £17 discount, cannot sniff at that. While I was scrolling through Instagram this week, I noticed Rita Ora had a My Little Pony, inspired ponytail hair piece, has a range of pastel colours running through it - Pastel - Pony - Envy. What a better time to try out how this palette works but by using that as some ombré inspiration for the lips. I started off using the white as a base to lighten up the shades I was going to gradually use across my lips. Pink, Blue, Yellow, Green, Blue & Fuchsia were applied and blended with a few lip rubbing and blotting. I even put some MAC Crystallized Yellow glitter onto there for a bit of sparkle but it didn't show up as much as I wanted. Seeing as I wanted a bit more gloss happening I chose my OCC Lip Tar in Clear which muted the shades more and gave it more of a pastel cosmic feel and the glitter showed up slightly more. This does look very cosmic! Good job lovely! You reckon in the future they'll invent a rainbow lipstick when it will aply straight on and split the colours up? We better not be 60 by the time it's invented, pahahah. That palette is awesome and I love what you've done with it. Very crreative!